"5 Stars! - After a lot of research we chose to go with Gary’s Pool and Patio. Freddie and Mike were great throughout the whole process. We love our new pool." After much research my wife and I decided to go with a Fiberglass pool from Gary's Pool and Patio. Freddie Schafroth couldn't have been more helpful and knowledgeable throughout the whole process, answers all questions and returns calls. We had a positive experience and pool was put in surprisingly fast. I would recommend Gary's Pool and Patio and Freddie to anyone interested in a new pool. They are currently installing our pool. Even though the rain has been a issue they have taken every right step to ensure a good decision is being made. What makes this company... Felix and Mike! Felix is a Sales person with tremendous amounts of operations experience which in my opinion is the key to setting obtainable expectations. Mike is ALWAYS communicating and making sure we are in the loop and addressing any questions or wants with calling in the right people to add their experience to the solution. More great news to come ,I’m sure, as they finish up the project. Just finished our pool with Gary's Pool & Patio company. David was our contact person, who provided excellent customer service! We are very pleased with the project and would recommend their services to anyone looking into building a pool. David maintained us up to date every step of the way and ALWAYS responded to our calls/texts. Customer service was GREAT!!!!!!!!! 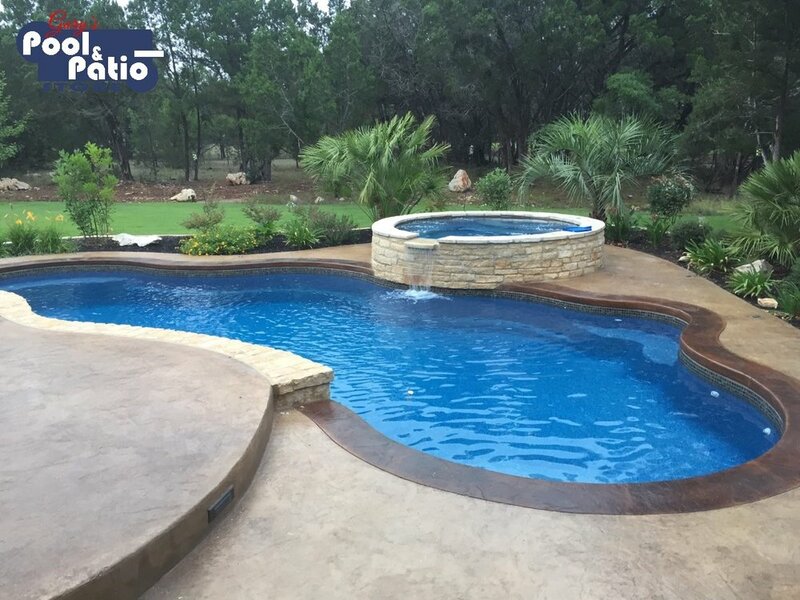 Felix Galvan Jr helped us select the perfect pool for our needs. Installation was quick and efficient. Now that summer is here we spend all our free time enjoying our beautiful new pool from Gary’s Pool and Spa! Customer Sales & Service from Sales Rep Felix Galvan Jr. is very professional and he is very customer focus. He listens very well, asks very good questions so you feel you are being understood and throughout the sales experience, you feel comfortable. Flex does a good job discovering your needs and allows you to view all options without feeling pressure. He represents the team at Gary's Pool and Patio very well. Ask for Felix Jr.
We can't say enough about how impressed and pleased we are with this company, the owner Gary, and sales rep Felix Galvan! I had bids from two other companies and went with Gary for two main reasons ... One, Gary's Pool and Patio's longevity in and around San Antonio and Two, Felix Galvan, one of the sales reps.
Wow, what an incredible young man with the best demeanor and pleasant mannerisms as well as being knowledgeable about the product he sells. He delivers on his promise and has a sense of pride about the company and pools he sells which gave me and my husband confidence that this was the company we trusted with this financial purchase. I was home a good part of the time during the project and the crews that were sent to our home were polite and respectful and gave us peace of mind during the times we could not be home. I purchased an in-ground pool from Gary's Pool and Patio here in Mission Texas and was a pleasant experience working with them. Installation went as planned and turned out great. Fiberglass pools are the way to go and these guys are fast and reliable. 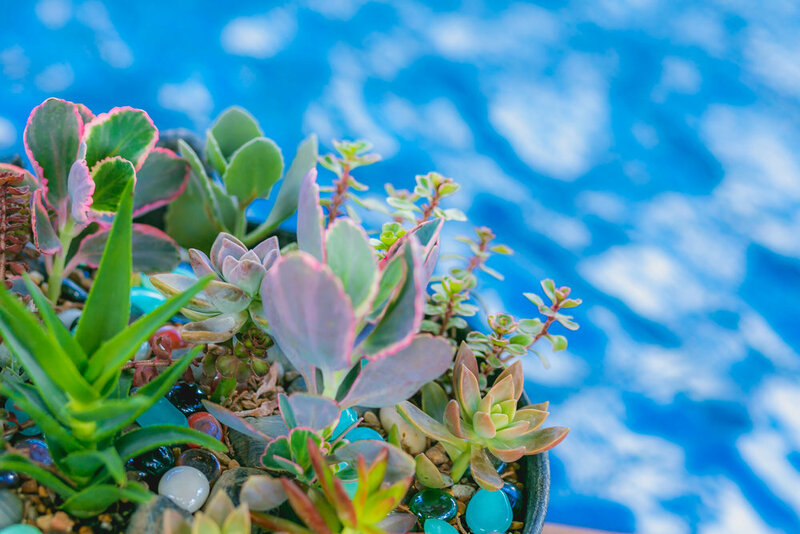 My family and I were interested in building a pool but we did not know whether it was going to be a concrete pool or a fiberglass pool. After doing some research we decided to look into a fiberglass pool. Still skeptical about it we found Gary's Pools and Patio from Donna, Tx. We met the salesperson, Freddie Schafroth, he was very knowledgeable in the pool business. He gave us the pros and cons. We were convinced, a underground fiberglass pool would be our choice of pool. They have many pool designs and sizes made by Viking Pools to pick from. For you do it yourselfers, you have the option of the self kit(money saver). Well long story short, it's been a year since we had the pool installed and we have been very happy with it. Very low maintenance. Also, if we have any questions about the pool or chemicals Freddy is just a phone call away. I would like to express my sincere gratitude to Gary’s Pool and Patio Company for the outstanding quality work they provided to this family. Awesome work crews and sales department!!! Thanks to Sales Rep Felix Galvan Jr., Production Manager Mike Williams and concrete Felix Galvan Sr. A very professional team who cares to provide exceptional results. We want to thank Gary’s pool for the great job they having been doing and have done with our pool project. We got the pleasure of meeting Mr Gary Zars, very humble and honest person. We made a deal with him and he has kept his word on all of the items he committed too and then some . Felix, Jr great young man and Felix Sr. worked with us on concrete pricing. Not over priced at all very nice family. Highly recommend him for concrete work. Mr Mike awesome project manager always of top of the jobs always answers our calls. Even after our dog Paco bite him. He was still smiling after that. it would take a GATOR to take Mike down, or maybe not LOL. Thanks Mike for all you do and have done for our family and our pool! This guy has gone gone way above and beyond his duties! And is very customer committed and oriented. This young man is “Freddy” even though he’s was the one that sold us the pool, he continues to answer our calls and texts. Even though he has already done his part and should not have to do this any longer. He just didn’t stop helping us after the sale. he has continued to be there for us. And will probably continue too after the project is over. He treats us like friends and family. Freddy has a very outgoing personality and very friendly. And very trust worthy! And very committed to his job. If you are thinking of having a pool built..I highly recommend Gary's Pools & Patio. We are so pleased with the pool we selected. From the trachoe operator to the concrete guys, true customer service and professionals. Their sales representative Freddy Schafroth was very knowledgeable about their product(s) and spent an hour answering all our questions. It has been a year since we had our pool built with no issues. My husband loves our pool due to minimal maintenance needed. Very easy to clean and maintain. Their sales representative, Freddy has remained accessible if we have questions. He is always very responsive and helpful. Very respectful and caring people and aren't about just selling you pool and forgetting you..Highly recommend them.